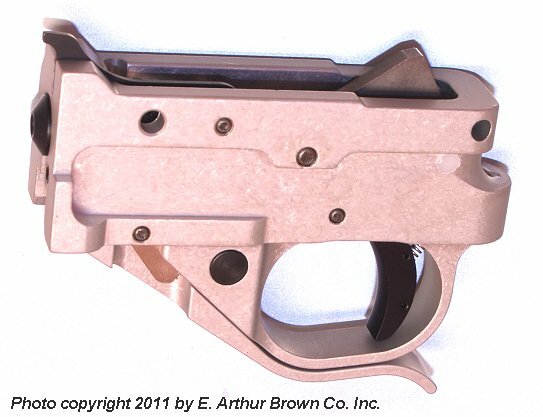 A complete action replacement featuring EDM cut and heat treated trigger, sear, and hammer in a CNC machined 6061-T6 aluminum housing. 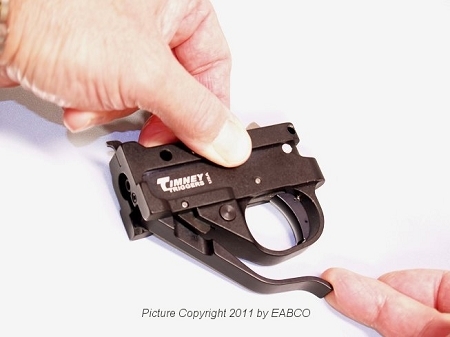 Push out the two action pins and “drop in” the new Timney complete trigger assembly. The Timney trigger is a welcome upgrade to my 10/22 & functions properly . The Ruger works as expected. Installing this assembly in my 10/22 Takedown took less than 5 minutes. My trigger scale seems to back up the claimed 2.5lb pull (my stock pull was actually higher than the alleged 6 lbs that it was supposed to be.) The shorter pull results in a much quicker reset with less shooter effort, and my groups immediately tightened slightly at 50 yds. I didn't hate the stock Ruger assembly by any means so you won't hear me raving about how this is night & day different like some of the reviews that led me to purchase, however I will say it does indeed improve an already great gun considerably. The magazine release lever is far easier to use than the tiny stock one. The built in auto bolt release (ie. just slide back, rather than slide back, fumble underneath in the box of razor blades for the release catch, push up) is a nice touch, although I'd say it only works 80% of the time whereas the Volquartsen one I had in my stock Ruger trigger assembly worked 100% of the time. All in all, for this price, there's nothing I could really find to warrant any less than 5 stars. 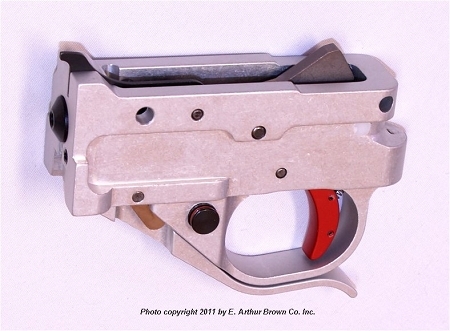 Trigger pull of 2.5 vs 6 lbs, the auto bolt release and the MAG release lever all together are well worth the cost. They make the gun fun.